If you are looking for a fun St. Patrick's Day activity for you and your little leprechauns, check out this shamrock scavenger hunt. 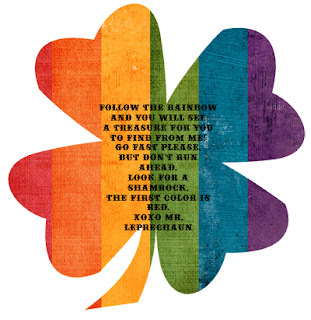 All of the clues come on printable rainbow colored shamrocks. You can get your shamrock scavenger hunt printables over at The Crafting Chicks.